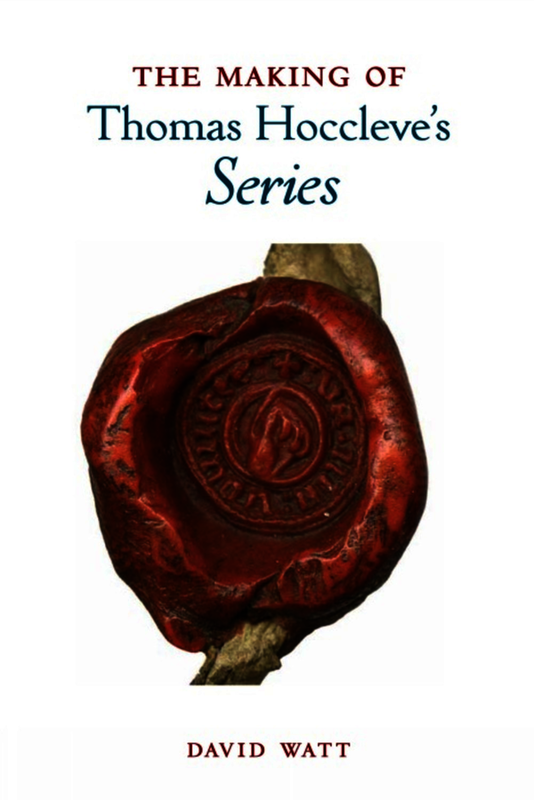 Thomas Hoccleve’s Series (1419-21) tells the story of its own making. The Making of Thomas Hoccleve’s Series analyzes this story and considers what it might contribute to the larger story about book production in the fifteenth century. Focusing on four surviving manuscripts made by Hoccleve himself between 1422 and 1426, the first four chapters explore the making of the Series in context. They examine the importance of audience judgment in the selection and juxtaposition of forms, the extent to which the physical flexibility of books could serve the needs of their owners and their makers, the changing tastes of fifteenth-century readers, and the appetite for new paradigms for reform in head and members. The final chapter analyzes the most important non-authorial copy of the Series in order to ask what others made of it. While this study draws on Hoccleve’s experience, it asserts that the Series offers a reflection on, not a reflection of, his conception of book production. The ironic contrast between what Hoccleve’s narrator intends and accomplishes when making his book is its most redeeming feature, for it provides insight into the many conflicting pressures that shaped the way books were made and imagined in early fifteenth-century England. The Making of Thomas Hoccleve’sSeries offers a refreshing and much- needed contrast to the usual critical approaches to the Series, which tend to concern themselves with Thomas’s financial worries, politics, and mental health. Watt aims to show how attention to specific cases of book-‘making’ (both in the sense of composition and in the sense of physical construction) can contribute to larger narratives about the making and reading of books in the later medieval period. David Watt is Assistant Professor of English in the Department of English, Film, and Theatre at the University of Manitoba. He has published articles on Hoccleve and book history and has contributed to the Broadview Anthology of British Literature.